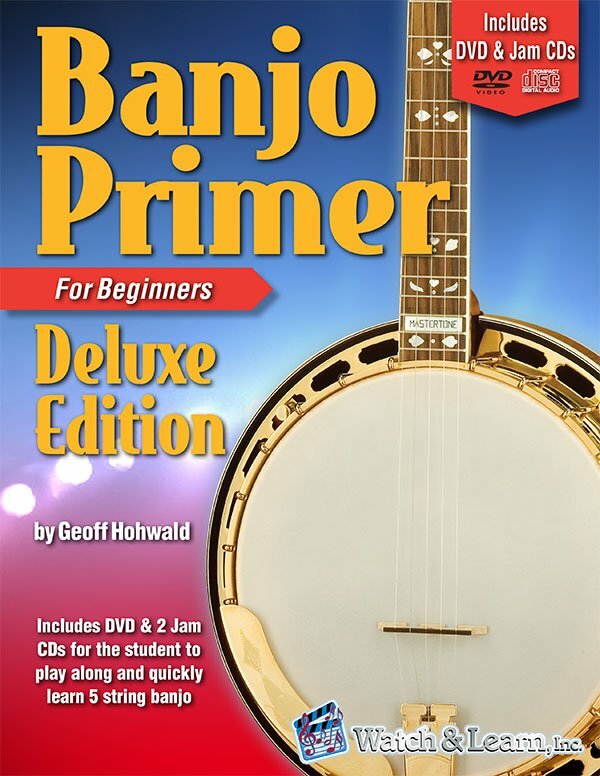 Banjo Primer Deluxe Edition by Geoff Hohwald is the first true beginners course revealing the secrets of good Scruggs style 5 string banjo technique. This course starts off with basics like parts of the banjo, how to tune, and simple rolls. We’ll then move on to learn some easy to play song arrangements along with up the neck breaks to classic bluegrass songs. All examples and songs are played at three speeds (slow for learning, medium for practicing, and performance speed).